Brandine is a hand made feminine typeface created and published by Klapaucius Co, a freelance graphic design agency from Singapore. 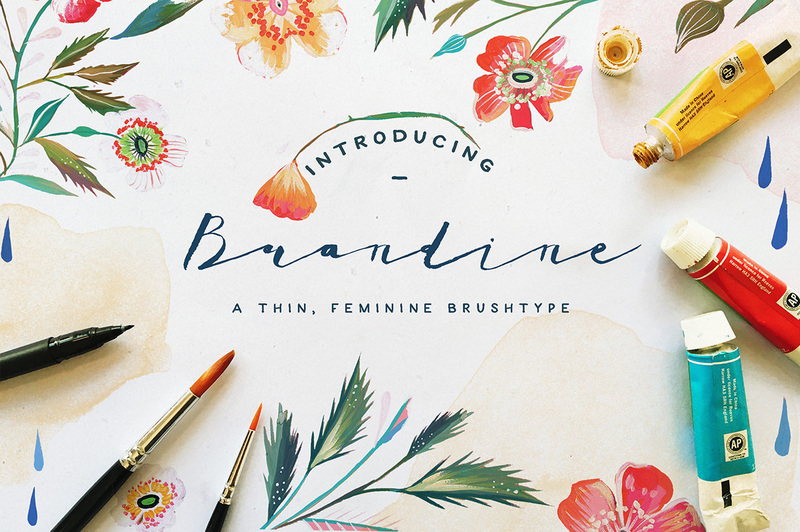 Made out of thin brush and watercolor, Brandine is very suitable for everyday use like your wedding cards and invites, greeting cards, title for your illustration, logo, return address, and other types of branding work. Brand your designs with the beautiful Brandine! A font description published on Wednesday, March 30th, 2016 in Fonts, Klapaucius Co by Andrei that has 3,392 views.